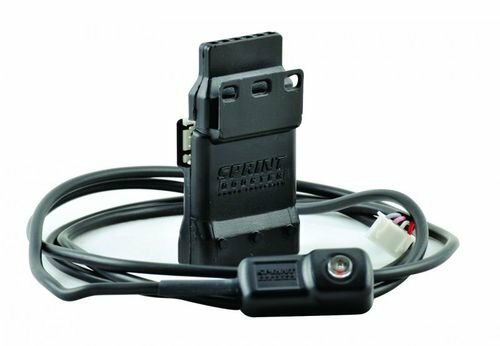 Designed specifically to enhance acceleration in a number of popular platforms, the Sprint Booster is an aftermarket electronic module that plugs in between the accelerator pedal and the engine control unit (ECU) in vehicles equipped with an electronic throttle control. Sprint Booster is an application-specific hardware based product designed specifically for your car. This device is engineered to improve acceleration on drive by-wire cars by continuously measuring and converting the digital signal providing the ECM (Electronic Control Module) with a new and altered signal. Many modern vehicles utilize electronic throttle control and more vehicles are going that way, especially performance and sports cars. In conventional throttle systems, the accelerator pedal is connected to the throttle by a cable. In electronic throttle control systems, the accelerator pedal is connected to a sensor that sends a signal to the ECU that operates the throttle. The ECU increases or decreases throttle effort based on your accelerator pedal input, however this doesn't always translate to instant response. Things like pedal sensitivity, stability control and traction control systems can vary on different vehicles and can also lead to larger lag in throttle response and acceleration when its go-time. Sprint Booster improves response, increases pedal input sensitivity and delivers more impressive off the line performance. This product does not alter fuel or ignition in your vehicle; it's a simple plug-n-play mod that delivers instant response throughout the power band, making accelerating and revs matching incredibly more fun. Each unit is programmed for your car/truck ! Instant change you can feel! It will amaze you from the start ! Merging into traffic and speeding up is a breez!! If you have any questions about this product by SprintBooster, contact us by completing and submitting the form below. If you are looking for a specif part number, please include it with your message.